Tustin, California, January 28th, 2016 – Luxion, a leading developer of advanced rendering and lighting technology and maker of KeyShot®, the first real-time ray-tracing and global-illumination program for 3D rendering and animation, today announced the release of KeyShot 6.1, continuing the focus of improved workflow efficiency and enhancements to KeyShot’s powerful 3D rendering features. KeyShot 6 introduced new features with interior lighting mode that brings more possibilities and faster rendering in the creation of product, automotive and interior architecture visuals. Pro users gained advanced material creation with the new Material Graph and a smoother workflow with geometry editing and multi-layer PSD output. With Animation now included with KeyShot Pro, users were able to create advanced DOF, Panorama and Camera Path animations in addition to standard parts and camera animations, and see the results in real-time, as they are created. KeyShot 6.1 bridges these capabilities with improvements to the patented KeyShot HDRI Editor, enhancements to Toon and Anisotropic materials, and updated 3D software integration for KeyShot 6. On the news of Luxion’s patent award for HDR Image editing technology, users of KeyShot Pro gain improvements to the real-time viewing and creation of HDRI environment lighting. The HDRI Editor works by allowing a user to add light sources by adding ‘pins’ to the environment. With KeyShot 6.1, user may now create half-pins – half rectangular or half circular pins. Both new and existing pins may be converted to half pins, by selecting the Half option in the pin properties of the HDRI editor. Along with this capability, the HDRI Editor user interface has been updated for a smoother workflow and users will see significant speed improvements in both navigation and generation of HDR images. Additional updates include the addition of IES light, point light and area light thumbnails in the KeyShot Library to better display brightness and color of lighting presets. The Toon Material Type now allows greater control over outline and part contours for improved production of visuals for technical documentation. The Anisotropic Material Type now allows adjustment of the Roughness parameter in both X and Y position. For KeyShot Animation, motion blur is now available for cameras as well, in both the real-time and offline rendering modes. KeyShot comes with free plugins for most 3D modeling software. KeyShot 6 plugins for all supported software integration have been released with the latest updates available for both SOLIDWORKS and PTC Creo. Additionally, 3D EXPERIENCE 2015+ 3D XML support has been added, along with support for SketchUp 2016. Onshape import capabilities is now included with the KeyShot installation by default. All KeyShot plugins may be downloaded at keyshot.com/plugins. 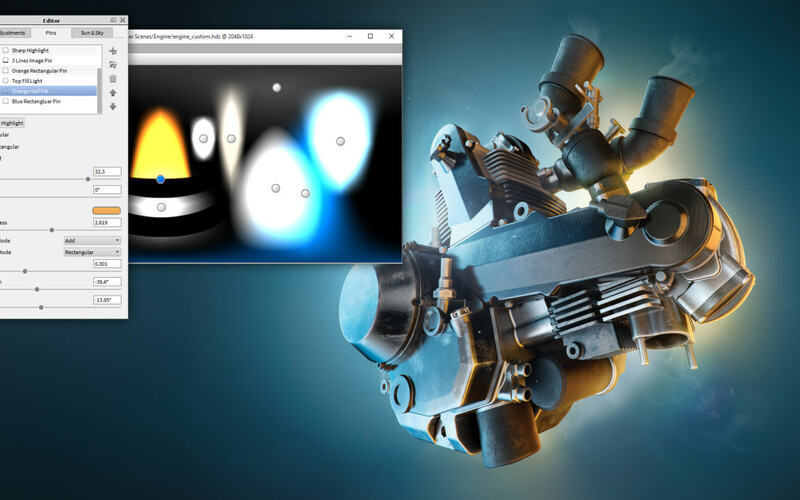 KeyShot trials are now available as a KeyShot Pro license and include KeyShot Animation and KeyShotVR, for the creation of motion and touch-enabled, interactive web visuals. Render queue and background render are disables with only the render output watermarked. The 14-day trial is available as a free download at keyshot.com/try/. Contact sales@luxion.com for the full experience with all features enabled and no watermark. The KeyShot 6.1 update is available immediately for download and installation, for existing users on subscription, at https://www.keyshot.com/downloads/. Upgrades to KeyShot 6 may be purchased online at https://www.keyshot.com/upgrade/ or through a qualified KeyShot reseller. For more details on pricing please contact your local reseller or sales@luxion.com. For more information on KeyShot products, please visit keyshot.com and follow Luxion on Facebook or Twitter.